November 15, 2018 at 12:05a.m. 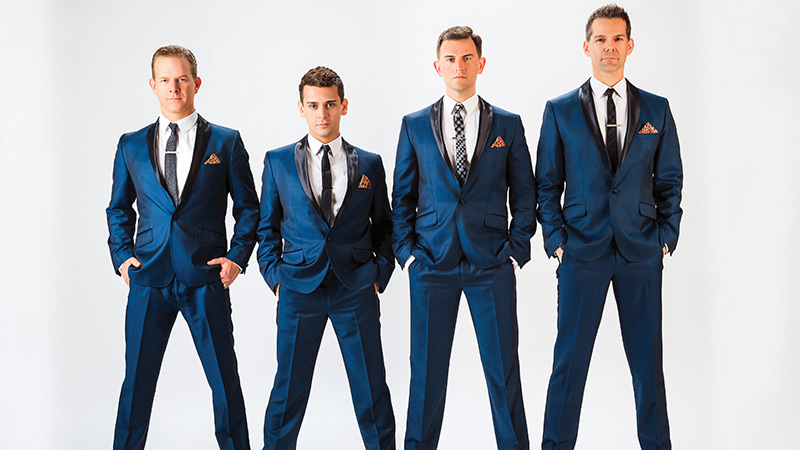 The Midtown Men are now in their ninth year of showcasing the hits of the 1960s – including a few by Frankie Valli and the Four Seasons. What started as a bit of fun eventually got serious. The Midtown Men are the first vocal group to emerge from a Broadway musical. They have also released two public television concert specials: “The Midtown Men Live in Concert” and “Meet the Midtown Men,” a documentary. While it’s rare to be in a Broadway show the magnitude of “Jersey Boys,” it’s rarer still to follow it up with a musical act that has been touring for nearly a decade. And The Midtown Men’s ability to get audiences dancing in the aisles means there’s no end in sight. In Midtown Men, Longoria and his bandmates – Christian Hoff, Daniel Reichard and J. Robert Spencer – are just being themselves. It was during an audition when he was in college that he discovered how high his voice could go. While theater was Longoria’s first passion, he now finds being a singer to be equally satisfying. About those songs: what makes the pop music of the 1960s so enduring? Other than the Four Seasons, Longoria’s favorite bands of that era are the Beach Boys and the Ronettes because of their use of vocal harmony.